Strideline is the world leader in comfortable, quality printed socks. We are proud to be able to bring these comfortable and always used item to Australian companies. The extra "kick" you get out of it...? We offer these socks custom printed with your company logo, brand and colours! A fantastic way to get your brand standing out above the clutter and turning those prospects into clients time and time again. The best part about these socks is that we are able to offer you FREE* samples printed with YOUR logo! Why Strideline and Why Printed Socks...? 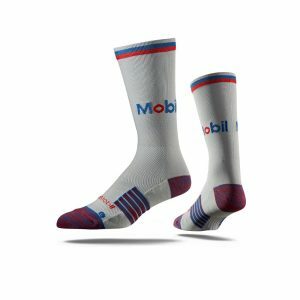 MOQ | The minimum order quantity for promotional branded socks...! THE PRICE YOU PAY | For 1 pair of sample printed socks! Including Shipping*, Set-up Fees and Virtual proofs! We want to help you see the value in these amazing branding tools that are used by everyone - everyday! ON TIME DELIVERY | We understand the importance of shipping on time. Our promise is that if we miss a delivery date outside of courier delays, then your order is 100% FREE! Do you have a design in mind...? We'll have your FREE virtual proof back to you within 24 hours. 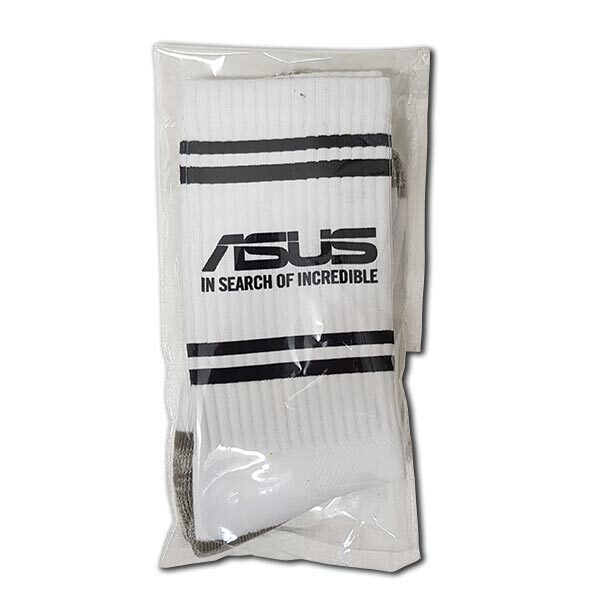 Our high quality promotional socks are available in three different styles. Most popular is our standard printed range - these are available in Premium, Classic and Business. Click the products below to view colours, sizes and templates. All available for you to conveniently purchase online! Free set-up - Free delivery in Australia and Free designs...! It can't get any easier could it? 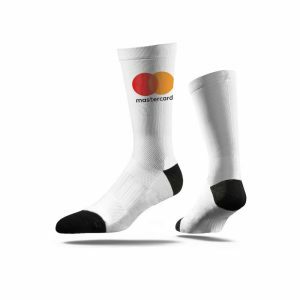 HOW MUCH OF THE SOCK CAN I CUSTOMISE TO MY COLOURS AND LOGO? All of the standard printed socks have a multi-coloured design area that is 89mm wide x 114mm high. This is the space we apply our digital ink production process to that allows us to create beautiful, fully customized, PMS colour-matched designs. The rest of the sock is a pre-knit base and cannot be altered. The second style is the Full Sublimated and Economy. These are a cheaper alternative to the standard printed socks but are economy in price only - not quality! Rest assured these are still the same great quality Strideline product that you wont be dissapointed in. Some of the extra features have been removed making them easily affordable for every situation. 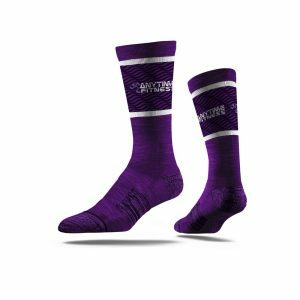 With the full sublimated socks - you can print your own design over the entire sock apart from the heel and toe sections. The One Press sock has the same design window as the standard printed styles of 89mm wide x 114mm high but only gets printed on the outside of each sock. For when you want the best - this is it. The range of custom knit socks gives you the ultimate freedom to design your very own colours, logo and make it truly yours. Also available in premium, classic and economy, if you want to make a real impression - you cant go past these socks. Spec samples with your logo available with a deposit only - Min order of 120 pairs. All socks come packed in pairs in a clear polybag. 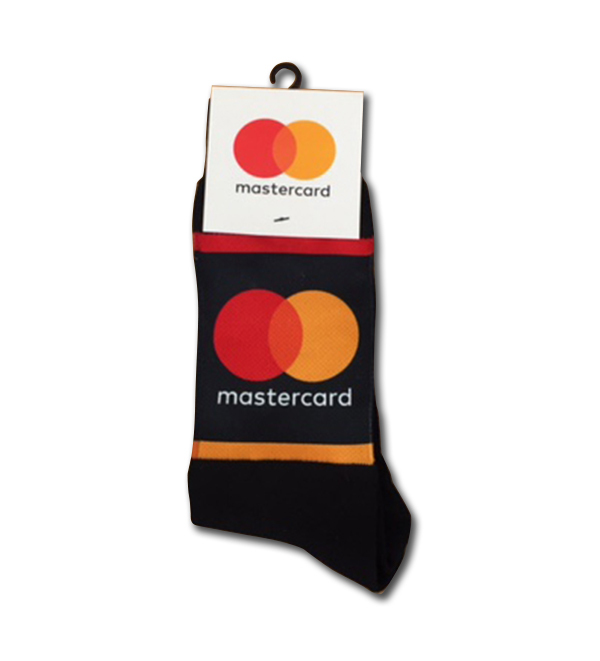 We do offer a custom swing tag for retail style presentation and you can choose that option when you go to add your socks to your cart. Now you have seen it all... select the sock you would like to get, add it to the cart and use the coupon code "SAMPLE". this will let you check out for free and we will get in touch to confirm if you qualify for your own design or a standard sample. Can't get any easier can it? 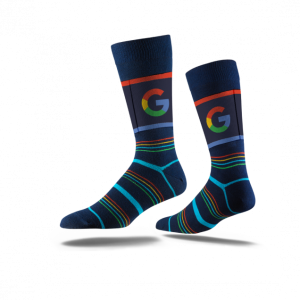 *FREE custom printed samples are only available to qualified businesses or organisations who are genuinely interested and have the means to place a bulk order of 30 or more socks. You will be asked to fill out a short qualification form after you have submitted your sample order. We are happy to send out generic samples 100% free so you can see and feel the quality of these amazing promotional items. Either way - place your sample order and we will be in touch to confirm. Still need more info? Send us your question on the form below and we will be in touch ASAP. What makes a visitor stop at your stand - or keep walking? Wow...! What a unique gift to be remembered for. © TEXT Quantum Marketing - All Rights Reserved.